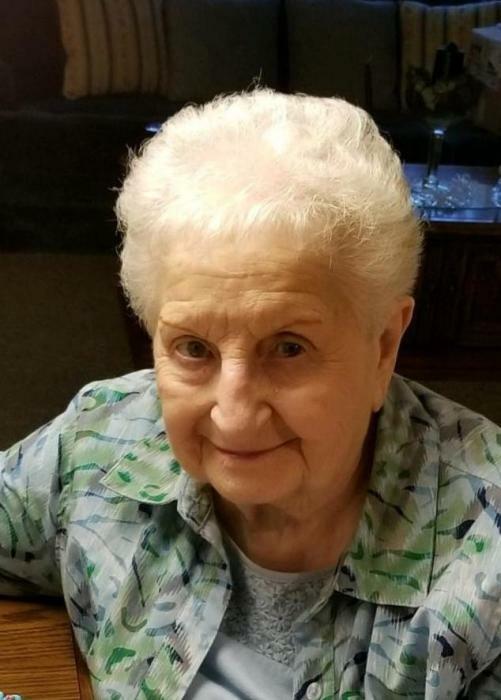 Rosemary (Nixon) Beightler, 91, of Danville, passed away on Sunday, April 14, 2019 at North Logan Healthcare. Rosemary was born on September 28, 1927 in Danville, Illinois, the daughter of Frederick Oren and Pauline (Welsch) Roth. She married Frank Nixon on June 7, 1947. He preceded her in death on April 23, 1979. She later married Connie Beightler on April 25, 1987. He preceded her on April 9, 2012. Rosemary is survived by her two children: Frank (Garnet) Nixon and Janet (David) Marken; her three grandchildren: Melissa (Matt) Muirhead, Michele (Jeff) Prunkard, and Nathan Marken; and her two great-grandchildren: Grant Muirhead and Olivia Prunkard. She is also survived by her two step children: Cindy Cross and Gary (Patty) Beightler, four step grandchildren and three step great-grandchildren, as well as several nieces and nephews. She was preceded in death by her parents and her three brothers: Fred, Dan and Eugene Roth, and by her sister Margaret Ann Bernardi. Rosemary worked at Steel Grip Inc. for 23 years, retiring on March 25, 1995. A lifelong Catholic, she was a member of St. Joseph Church and later of Holy Family Church. She enjoyed volunteering to work on funeral dinners and cleaning the church with her church family. Thanks to everyone who help her in her final days. Visitation will be from 5:30pm to 7:00pm on Monday, April 22, 2019 at Kruger-Coan-Pape Funeral Home, 10 E. Williams Street in Danville, with a Rosary at 5:00pm on Monday at Kruger-Coan-Pape Funeral Home. Catholic Mass will be at 10:30am on Tuesday, April 23, 2019 at Holy Family Church, 444 E. Main Street in Danville, with Father Loftus and Father Ted Pracz officiating. Burial will follow at Resurrection Cemetery. In lieu of flowers, memorials may be made in Rosemary’s name to Holy Family Church, 444 E. Main Street, Danville, IL 61832 or St. Vincent DePaul Society. Messages and memories may be left on our website at www.KrugerCoanPape.com, or on the Kruger-Coan-Pape Funeral Home Facebook page. There's still time to send flowers to the Recitation of the Rosary at the Kruger-Coan-Pape Funeral Home at 5:00 PM on April 22, 2019.